Why are Protection Rings called rings? Protection rings are different privilege levels granted to software, with the kernel being the most privileged, applications the least privileged, and drivers somewhere in between. My question is why are they called rings? (as opposed to privilege levels) Is this justified historically or through the analogy making it easier to understand? Warning: This answer contains educated speculation. "Rings" clearly expresses the "nested set" aspect of protection rings, which were described as "concentric" in early papers describing them. 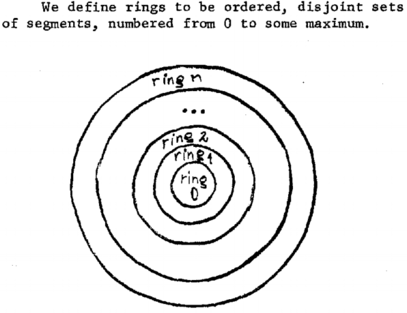 We define rings to be ordered, disjoint sets of segments, numbered from 0 to some maximum. In a system which uses segmentation as a memory addressing scheme, protection can be achieved in part by associating concentric rings of decreasing access privilege with a computation. Put another way, the sets of access capabilities represented by the various rings of a process form a collection of nested subsets, with ring 0 the largest set and ring r - 1 the smallest set in the collection. The concentric circle metaphor clearly correlates to this notion of "nested subsets", in a way that other metaphors - like the OSI 7-layer "stack" model - do not. While gates do also lend themselves to the medieval castle design of concentric walls with gates between them, I cannot find any historic references equating Multics rings with castles; only modern references drawing the analogy in order to illustrate the concept. This is going to be a low-quality answer, I'm afraid... but I can't put a picture in a comment. 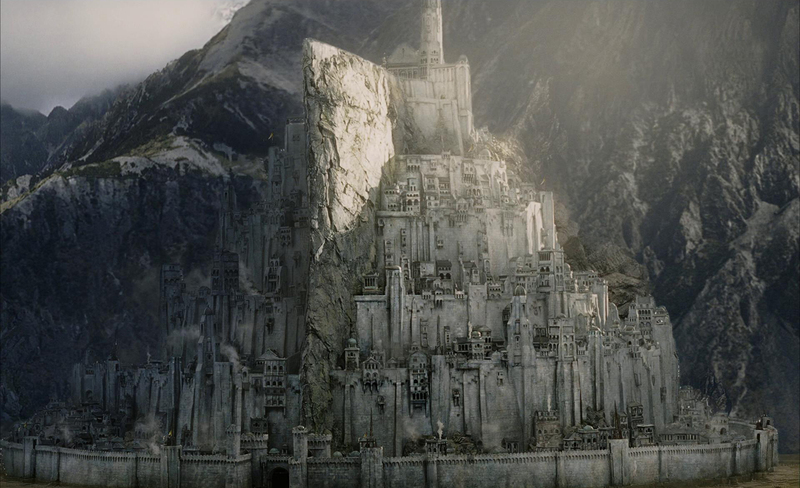 I've always imagined it like the City of Gondor from The Lord of the Rings. To protect the tower in the centre of the city, the walls are built as concentric rings around the city. To gain entrance to the higher rings implied a higher level of trust from the city's Steward. Not the answer you're looking for? Browse other questions tagged terminology cpu privilege-separation or ask your own question. Are all vulnerabilities security related? What is this QR code authentication scheme called? What is the message called someone sends to verify a key? Is the injection in a NoSQL database architecture also called SQL injection? Why is it called WEP? Why is it called micalg? Are the CPU protection rings meant to protect against malicious programs or against unintentional programming mistakes?